This is the most comfortable hand-held magnifier with firm grip. Ergo-Touch grip gives a perfect fit to your hand and it provides extra-wide field of vision. With the UV light, it could detect the counterfeit, as well. 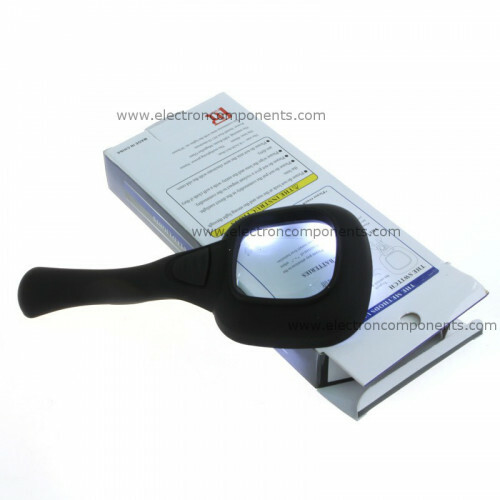 2 in 1 design: 3X power magnifier and UV currency detector. 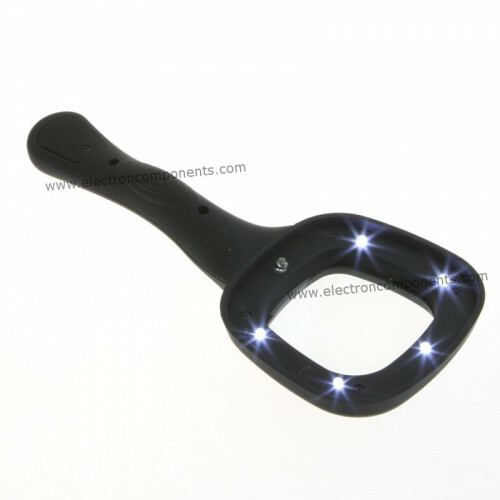 UV LEDs / UV currency detector for checking counterfeit. Extra-wide field of vision, rectangular lens are more accord with visual habit. 5 LED provides sufficient light for any situation. 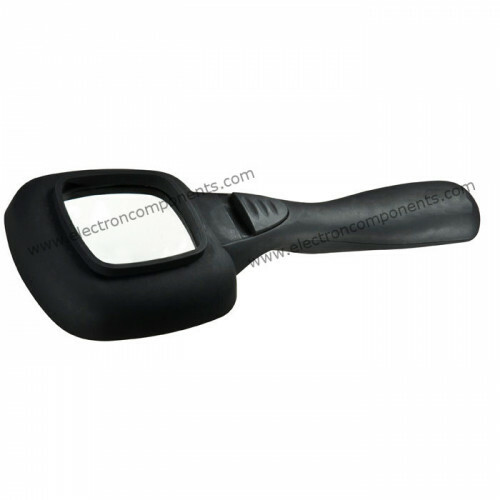 The most comfortable ergonomic plastic handle. Non-slip rubber grips make it easier for you to hold and grab without squeezing. Batteries provide continuous light for up to 30 hours of use. Great for reading, circuits and jewellery inspection, and etc..